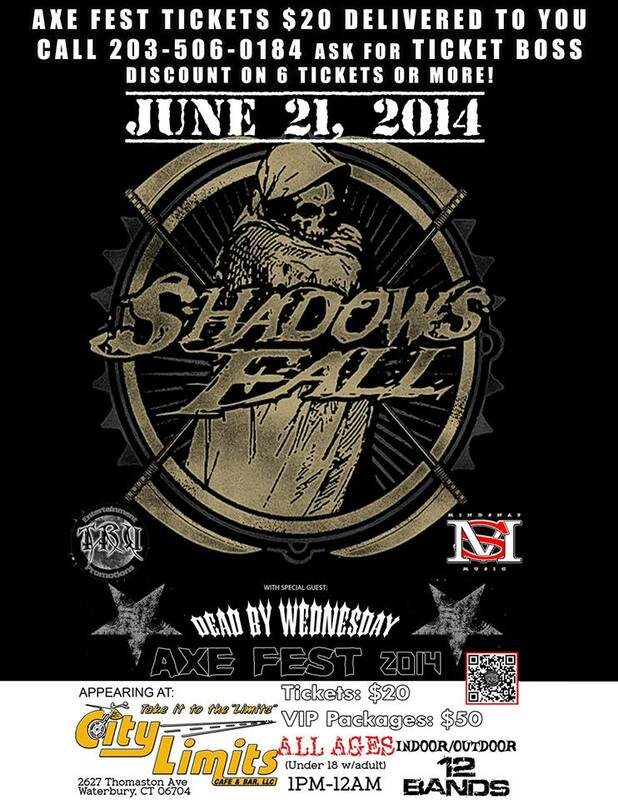 Connecticut’s own Dead By Wednesday will be joining Massachusetts metal giants Shadows Fall for sixteen tour dates in late June and early July. The first SF/DBW show will be June 20 at Maximum Capacity in Chicopee, MA; then the tour swings down to City Limits in Waterbury on June 21, with local support from a host of Connecticut acts including Bonded Thru Hate, The Shape, and She Walks Without Legs. 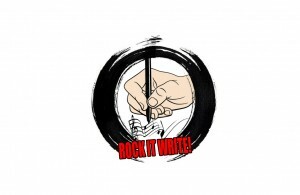 Few area bands can claim to be as stubborn as DBW. Pounding the pavement since 2005, they won Best Metal Band in the 2012 and 2013 Connecticut Music Awards and had the video for their song “Pawns” featured on MTV2’s Headbanger’s Ball. 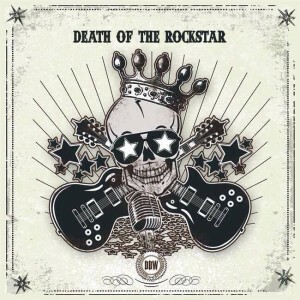 This spring, they released their fourth album, Death of the Rockstar, on local label Ear One Productions. The new album and the tour with Shadows Fall represent years of hard work – and ironically, perhaps their biggest chance to be rock stars yet. 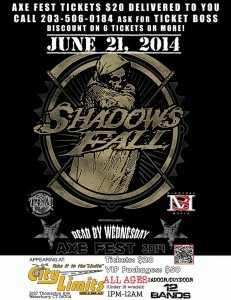 In fact, the June 21 tour date doubles as DBW’s CD release party – not a bad deal to have Shadows Fall play your album release, huh? But this shot at the big leagues will be taken without original guitarist Ross Ragusa. 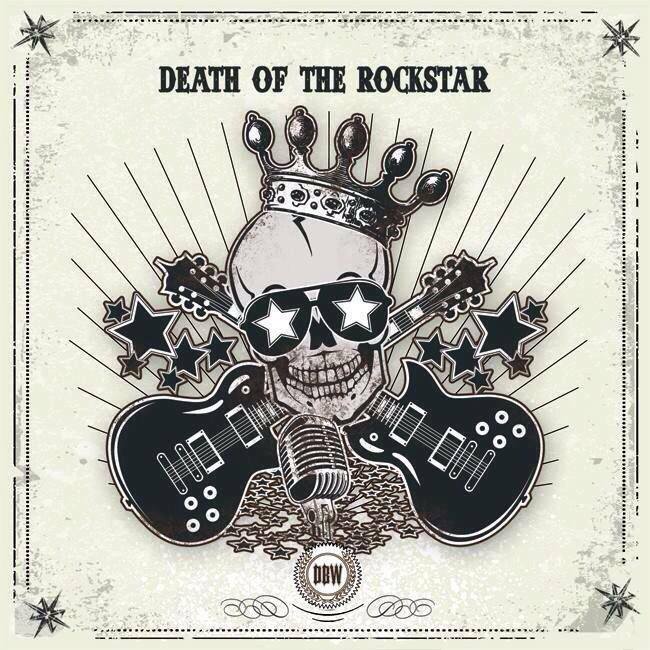 While Ragusa plays on Death of the Rockstar, young virtuoso Joey Concepcion is now DBW’s guitarist. (Probably a story there that we’re not going to dig into…) The group is rounded out by veteran members Joe Morbidelli (vocals), Michael Modeste (bass), and Christian “Opus” Lawrence (drums). Still shot from DBW’s upcoming “When in Rome” video, filmed at Bill Miller’s Castle in Branford. From left: Modeste, Morbidelli, Lawrence, and Concepcion. For more from Dead By Wednesday, find them on Facebook, Twitter, Reverbnation, YouTube, Soundcloud, bandcamp, and the web.